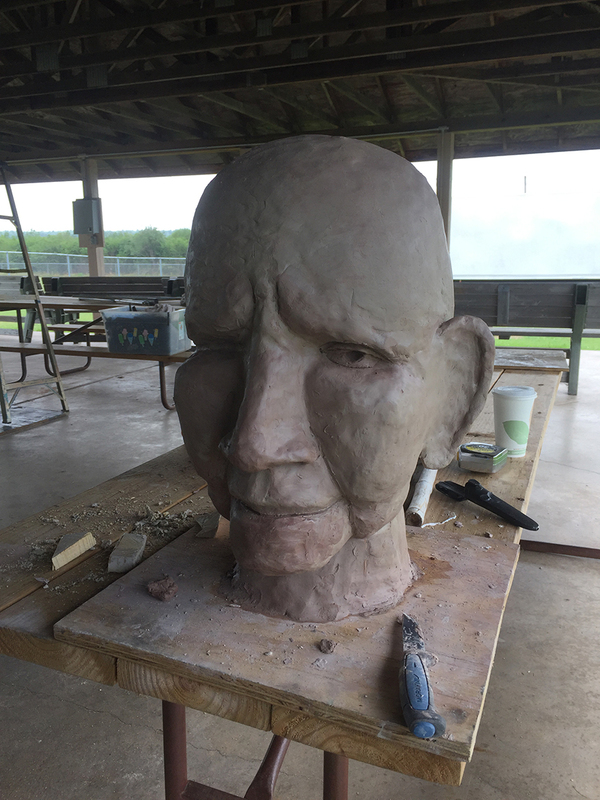 This week, artist Christopher Lutter arrived on Madeline Island to begin construction of a 12′ jingle dress dancer. Chris is a designer, sculptor, theater-maker and community educator whose work revolves around the design, construction and performance of puppets, masks, props, costumes, theatrical inventions, kinetic-sets and sculptural installations. Lutter is being guided by anishinabe kwes and jingle dress dancers Katherine Morrisseau of Red Cliff and Annie Humphrey from Leech Lake. Together they will create a super-sized dancer in a traditional format, with beadwork, jingles and features to create a sculpture that can be worn and eventually dance. This project was originally inspired by Native and non-Native community members coming together to find solutions to understand the differences between our two cultures. The dancer was conceived as a way to build a healing bridge back to Mooningwaanikaaning (Madeline Island) for the Anishinabe, the First Nation who inhabited the island as a sacred, central gathering place. Morrisseau spent the summer on the Pow Wow Trail through northern Wisconsin collecting hand prints from the community to be a part of the calico of her dress. This week, we will gather all those materials in one place to bring her to life. Help is needed for the many steps required to create the dancer: rolling of the jingles; paper mache of her hands, feet and face; many more hand prints are needed to make the calico of her dress. Lutter will be stationed at the Harry Nelson Rec Center for the next two weeks to help bring our Jingle Dress Dancer to life. All are welcome to come and be a part of her creation. Also on Wednesday, August 15, we will hold a Jingle Dress Puppet Workshop with Annie Humphrey, Yazmin Bowers & Michelle Large-MacDaniels at Big Top Chautauqua as a part of the Native American Culture & Community Connections Event. Start time is 3:30 PM. The Dancer will make her debut on Treaty Day on Madeline Island, September 30, 2018. She will be a part of the greater celebration, and all are welcome to attend. Also arriving on Mooningwaanikaaning on August 16 will be project sponsor Honor the Earth, fresh from their 6th Annual Love Water Not Oil Tour. Winona LaDuke and company have been riding their horses along the proposed pipeline route Line 3 against the current of the oil while connecting with the land and spiritually celebrating the abundance of the Anishinaabe Akiing with friends of horses nations from all directions. Join us in opposing the single most largest oil pipeline in the world and support moving towards the green path; a sustainable, kind economy. 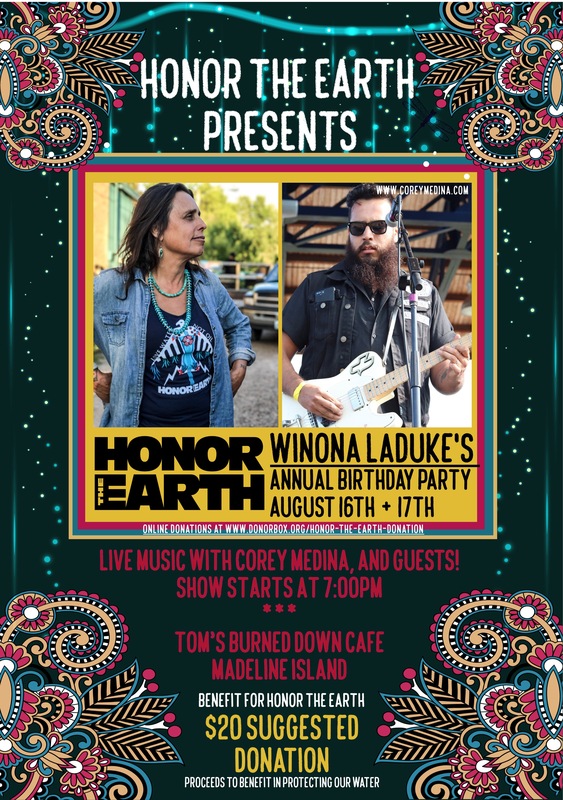 We will be celebrating Winona LaDuke’s Annual Birthday Party/Fundraiser at Tom’s Burned Down Cafe. The Jingle Dress Dancer Project will be selling fry bread at the Rec Center. For more information about the Madeline Island Jingle Dress Dancer Project, go here. Enter your email address to follow the La Pointe Center blog and receive notifications of new posts by email.